Did that big bird you bought provide too many leftovers? Don’t toss them out! Instead, dice up all that turkey and use it in new meals like our Stacked Turkey Enchiladas. This dish will stretch your budget and put smiles back on your family’s faces too. Roast turkey is one of our favorite meals, but every time we cook one we inevitably have enough to live off of for a week. To vary up your menu and not waste all the proceeds from a big gobbler, try making up a batch of our stacked turkey enchiladas. Flavorful and delicious, it puts all that leftover poultry to good use and will keep a thankful grin on your family’s faces because they won’t be forking down repeats of the same old leftovers. Your recipes look awesome; however, and sadly, I don’t have much time to work on new projects in the kitchen. The kitchen is my friend, especially on social occasions whether there is 2 at the table, or 8. However, and right now, the kids keep me busy 60-70 hour a week, until I get more volunteers or paid staff in the office (not far from the dining room). 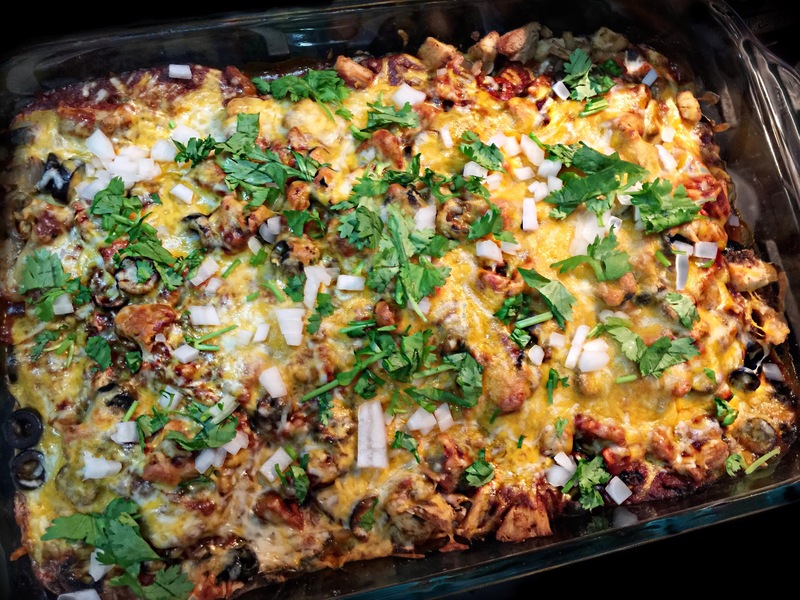 SO, it is up to you to invite me for “Stacked Turkey Enchiladas” when the opportunity exists; it sound like a marvelous, low-calorie dinner.